Yesterday, I got an amazing surprise on my door step. It was American Tourister luggage from the American Tourister Color Your World lineup for 2014. Last year, I got a neon green piece during the neon fashion craze, and this year, artful patterns and black and white graphics are big in fashion…and in luggage. 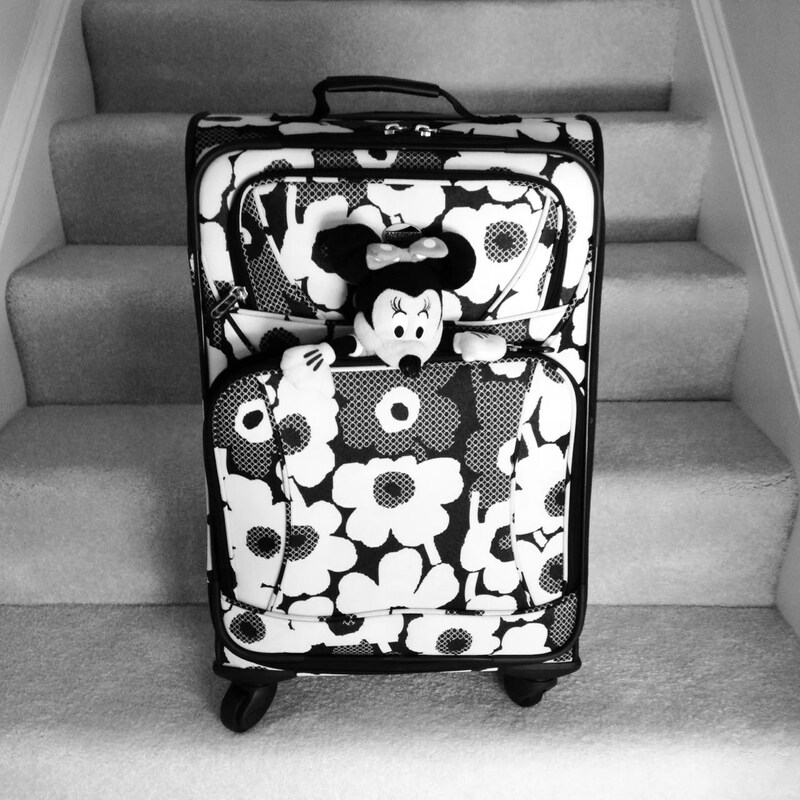 American Tourister is the official luggage of Walt Disney World Resort and Disneyland Resort. I got the piece because I got selected to attend Disney’s invite only conference for online influencers: the Disney Social Media Moms Conference. That invite was exciting enough, but who wouldn’t be excited to get carryon luggage dropped on their doorstep? Yet, I was also excited because I loved the black and white graphic flowers on the 21″ Spinner I received. So bold and chic. There is something about rolling a beautiful piece of luggage through the airport. It’s not your average black bag. A pattern like this one almost becomes an extension of your look, and sets the tone to other travelers that you are classy, and well-put together (even if your flight has a two hour delay and the kids are home sick). Then there are the cool features like four multidirectional Spinner wheels, and the ergonomically designed push-button locking handle making pulling it easy. Nothing like losing your luxe vibe if you are struggling with your suitcase. Plus, to keep it looking tip top every time you travel, it is made from rugged polyester. Of course, since this site is about luxury living for practical people, it is important for me to mention that the luggage is backed by a 10 year warranty after vigorous drop, tumble, wheel, zipper, and handle tests.